For anyone building a career in public relations, there’s no better environment than a PR agency. If you wind up in a specific sector, like technology or healthcare, an agency of any size is a solid starting point. If your work takes you on a corporate or nonprofit path, the broad experience gained at a PR firm will offer a foundation. Agency experience is useful no matter where a PR career goes. The multiplicity of clients enables exposure to a variety of businesses and industries, and by definition, an agency guarantees immersion into a culture of communications expertise. Even for those who leave PR, skills like business development, client interaction, and staff management are useful for any career. But agency life is not without stress. We serve many masters, including clients, direct bosses, and media. Deadlines are harsh, and productivity is a daily performance metric. 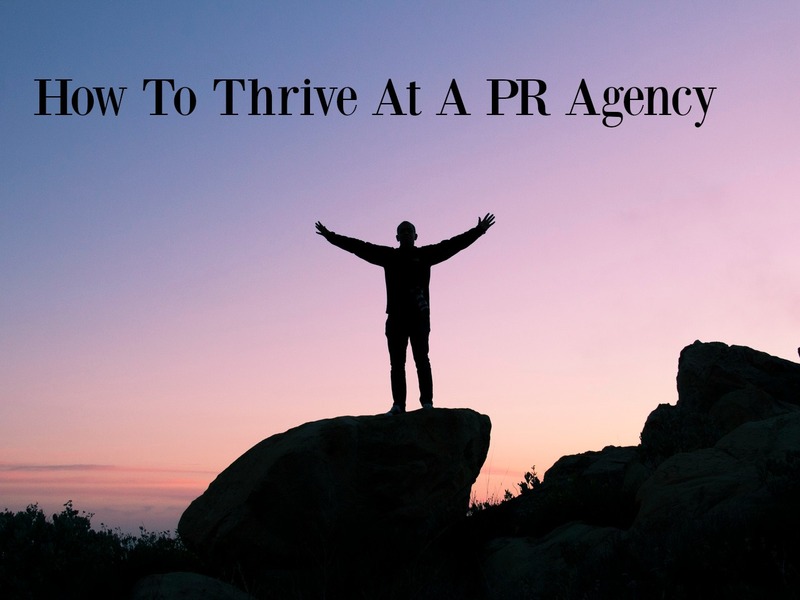 Here’s how to thrive at any PR agency, large or small. Don’t expect a 9-to-5 gig. Agency viability rests on the productivity of its staff and the talent of every team. Like any professional services business, it’s affected by unpredictable client workflow, up-and-down demands, and after-hours client needs. An added twist for any PR agency is that an unanticipated news event, reputation crisis, or negative story can trigger hours of unexpected work. Anyone expecting regular hours and calm days will be quickly disenchanted. Learn the business of agencies. It’s key to understand any client’s business, and that’s one reason why experience is so valuable over time. But it’s also essential to learn how an agency makes a profit, how it builds a clientele, and how it shapes its own reputation. A grasp on the formula for agency business success is a winning formula for a career at a PR firm. Overprepare for any client contact. We love our clients and often feel warm and friendly toward them. That’s a good thing, but it shouldn’t blind anyone to the need for rigorous preparation for even the simplest client conversation. They’re paying us not only for specific deliverables and outcomes, but for expertise and counsel. That comes with solid and disciplined preparation. By the same token, it’s a good rule to treat senior staff like clients – preparing before formal interaction, covering the details and anticipating questions. Step up. Even the most nurturing agency culture is competitive in some ways, and inexperience doesn’t mean newbies should be passive. Raise your hand, show curiosity, and make observations. Proactivity is greatly rewarded at all but the largest and most bureaucratic of agencies. PR professionals are recommenders, so development of a thoughtful point of view or proposed solutions to problems is a vital skill. Stay curious. A little like Steve Jobs’ famous advice to “Stay hungry. Stay foolish,” one of the keys to success at an agency is to keep learning. We’re in a period of rapid media and technology change, and the most potent fuel for staying ahead of trends and curves is a keen intellectual curiosity. There’s no better job security than a personal commitment to continuous learning. Learn to work under deadline. If you can’t deal with deadlines, you shouldn’t be in the agency business, and you probably shouldn’t be working in PR. In a typical PR firm, the sense of urgency is heightened because we’re dealing with a dynamic news environment, but also because client review and approval time must be built into all materials and recommendations. “PR” yourself. I’m one who thinks that “personal branding” can be overstated, but it’s always smart to apply basic PR principles and skills to your own reputation, particularly in a large and layered environment. What do you want to be known for? What does your agency value? What sets you apart from the rest of the team? Finding and showing the answers to those questions will help build a career-long brand.